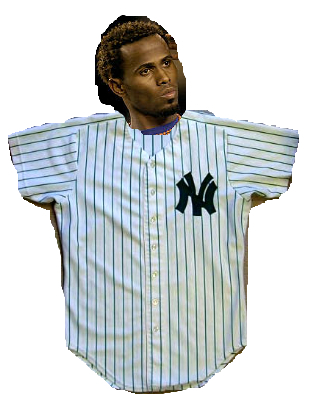 If Jose Reyes was on The Yankees, he would be the Yankee Centerfielder. The current Yankee infield is Mark Teixeira (1B), Robinson Cano (2B), Derek Jeter (SS), and Alex Rodriguez (3B). He is not displacing Jeter from SS. And there is no way he would displace Cano, Rodriguez, or Teixeira. I suppose some Mets fans would argue he’s better than Jeter but he’s never consistently shown it. Interesting.